Calgary Garage Door Remote Services – Gulliver Garage Doors LTD. Contemporary garage doors are operated through openers which are controlled by remotes. These modern doors have added tons of comfort in our lives. Now, it is far easier and convenient to operate a door than earlier, you don’t need to exert physical force to open or close the door. While being seated in the car or from a distance, you can easily open or close your door, all thanks to garage door opener remote. This not only saves time and efforts, but also protect the belongings and well-being of the owner should the garage door collapse due to failure of any part or any other reason. Our technical team consists of professionals who have years of experience in residential and commercial garage door services in Calgary. We have been providing effective and reliable garage door services for the past many years. Our Calgary garage door technicians have handled a myriad of garage door mechanisms. Our in-depth knowledge helps us develop durable and effective solutions for both our residential and commercial clients across Calgary. For us, one size never fits all and that’s why, we offer customized solutions to meet the specific needs of our customers. 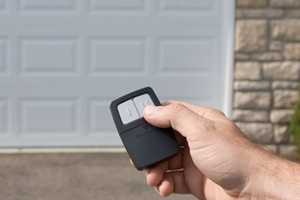 We will take care of all issues pertaining to your garage door opener remote. Give us a call today!